What can't I do when I am community banned? Join our chat or use the support room. Comment on profiles, announcements, raffles, auctions, etc. Have people comment on your profile. View our forum (You will get an error if you try to). Create auctions or bid in them. Badges are given out by participating in events or by doing other things related to the site. Most badges were only given out for certain events and can no longer be obtained. Member for x years: This badge is given to everyone based on the number of years they've been a member of the site. Raffle Veteran: This badge is automatically awarded to users who have been raffling for at least 2 years (the difference between your first and most recent raffle being over 2 years), and who have made over 50 raffles. Pony+: This badge is given out only by staff members that select you for it. It is mostly given to very active community members with pony avatars. Beta Tester: This badge is given out to users that help us test new features. We very rarely add new users to the beta testing team. Supporter: This badge is for our volunteer support staff. If you'd like to apply click here. If the bots gave you the wrong amount for your item, don't panic. Post in the refunds section and make sure to read the first stickied thread! How can I change the color of my username? You can change the color of your username by going to your settings -> User Profile. You can use the colors from the previous ranks, but you won't be able to have a custom color of your own until you purchase Super Premium. In order to request a custom color (SP), you will have to go to the category mentioned previously in your settings and then introduce the color (In Hex) you want in the custom name color box and save. After doing so, a request for said color will be made and sent to the staff. They will decide if to accept or reject said color. Does that mean I can request any color? Your color has to meet both contrast ratios! Is it safe to login with my Steam account here? 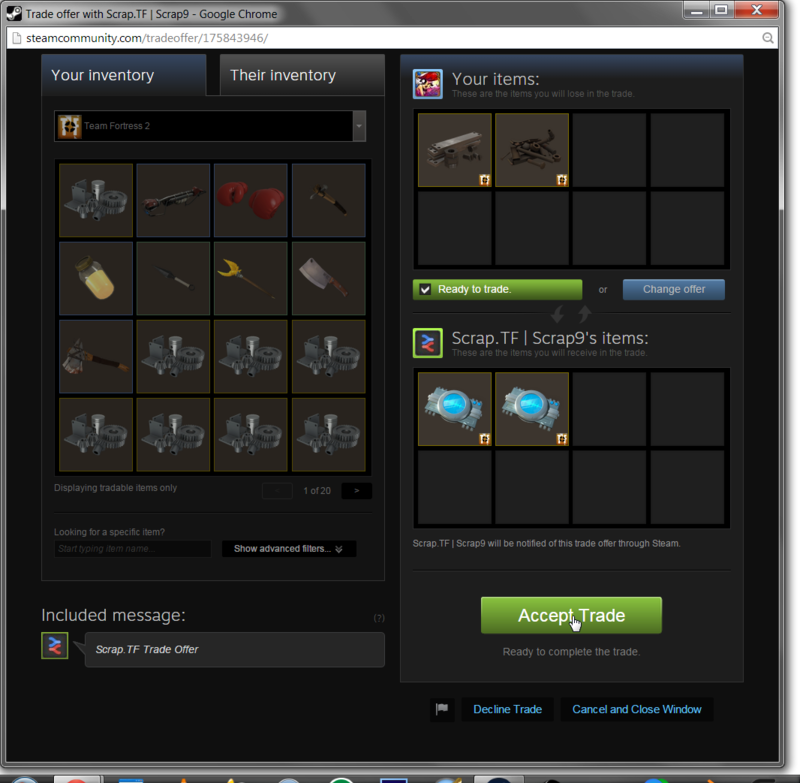 Scrap.TF uses Steam's official OpenID interface to authenticate your Steam account. In this process you sign in with your username and password on the Steam servers, after that the Steam server tells us if you logged in successfully and returns your 64bit Steam ID. Your user credentials will not be shared. Can I join the team of staff members? Most of the time we are not looking for any new staff members. If we are ever accepting new applications an announcement will be posted in our raffles section. What tags from BBCode can I use? Colors : [color=#HEXCODE]text[/color]. You can also use the name of said color. 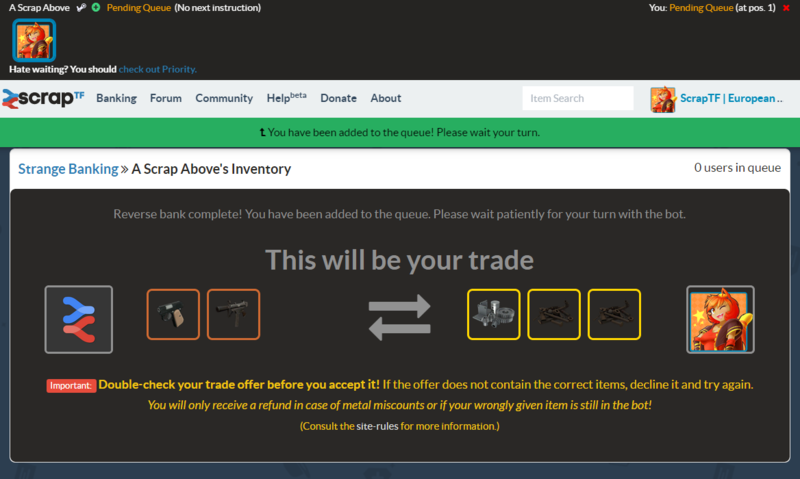 This website offers you an automated Team Fortress 2 banking service for weapons, hats, keys and many other items. 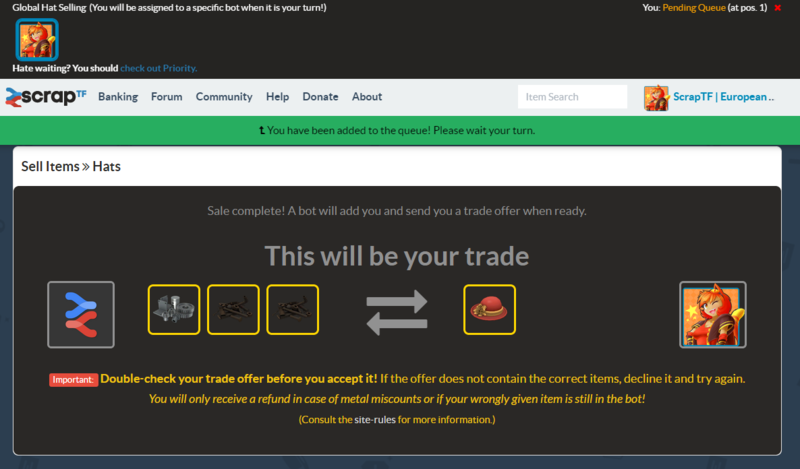 You can bank your TF2 items for metal or you can exchange your metal for TF2 items our bots have in stock. 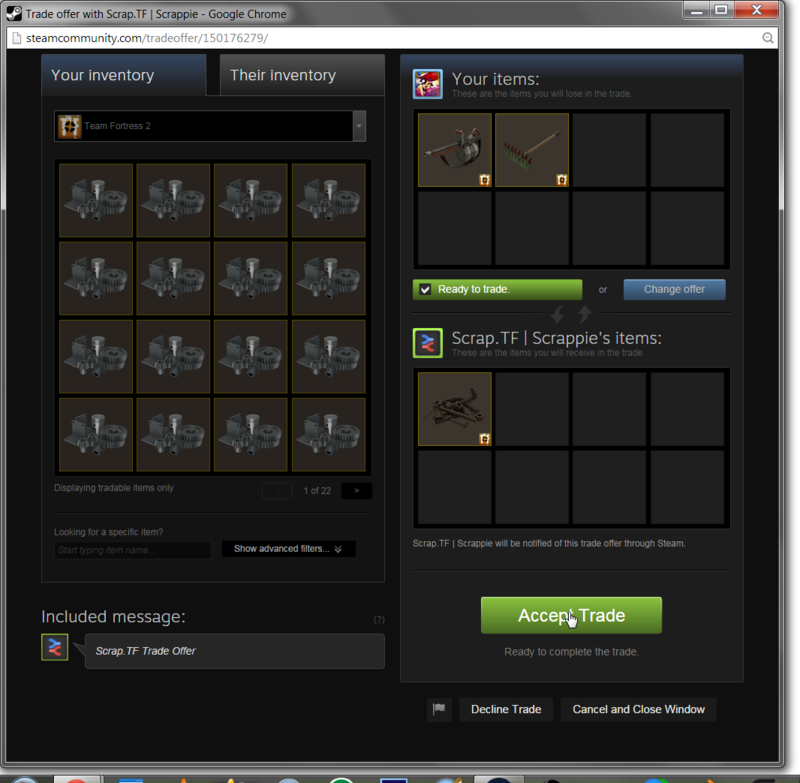 It keeps saying that my profile/inventory is not public! You need to set your community profile as well as your inventory to public (setting it just to "logged in users only" won’t work!). Click on "My Privacy Settings" and select "Public - Viewable by anyone on the World-Wide Web" in both the "Profile Status" and "Inventory" sections. 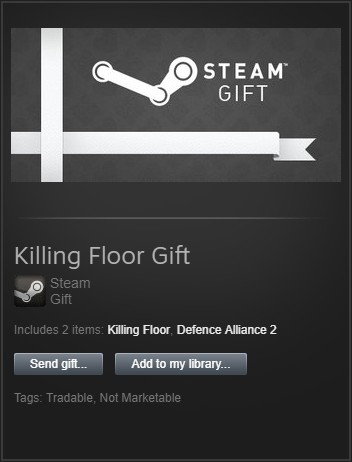 You don't need to disclose your Steam Gift inventory, unless you want to use game banking. If you have done that, click the "redo validation" link in the warning message at the top of the page. 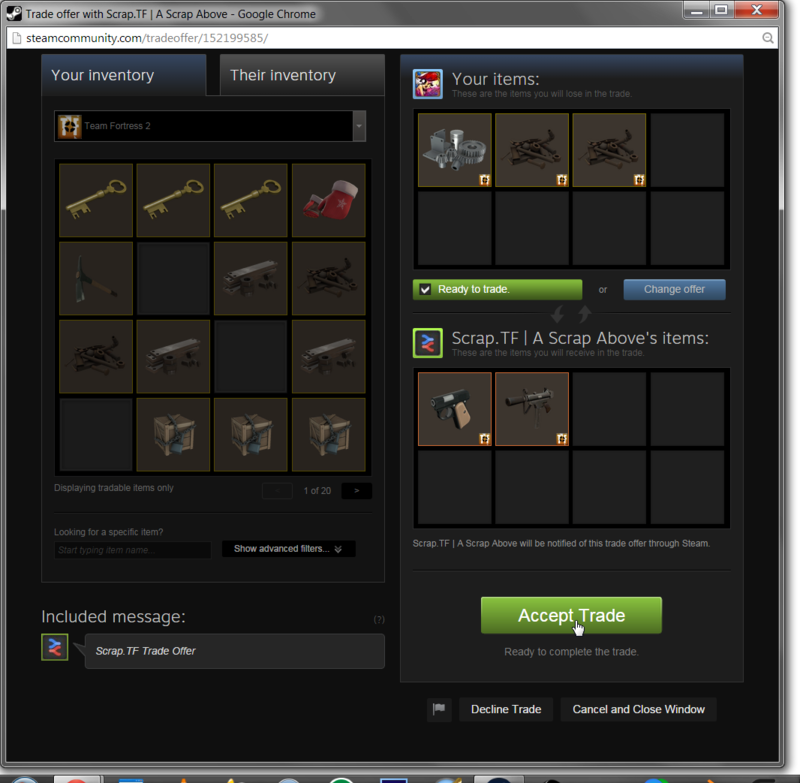 If that does not work, try relogging from Scrap.tf. If the message is still present after that, repeat the process after some time has passed (we recommend 30 to 60 minutes) as Steam sometimes takes a while to update its status properly. What's the settings page used for? 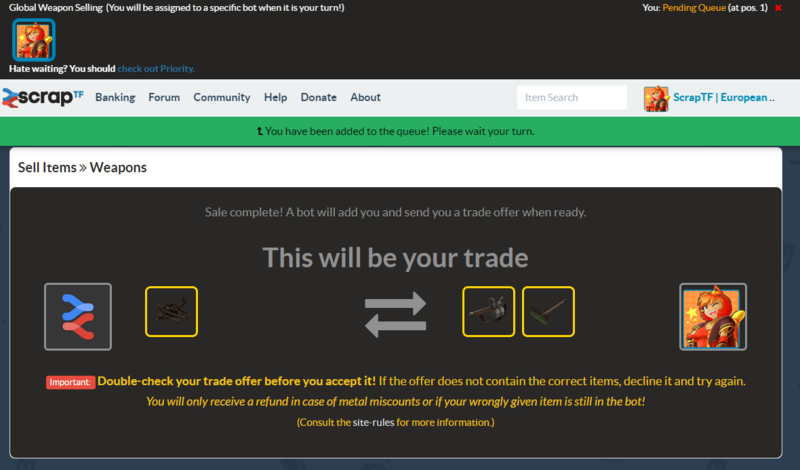 Setting your trade offer URL (recommended): With this option you can paste your trade offer URL so you don't have to add the bot anymore in order to trade with it. Background colour: This option allows you to pick what colour you would like to have as the background in our site. It must be in Hexadecimal (for example, #333333 is a grey colour). Site theme: You can pick which theme you want to use in order to change the site's appearance. Desktop notifications: This enables/disables the options of getting a small popup which will inform you about your status in the queue. Item scrolling: Having this option enabled allows you to scroll through the bot's backpack without having the "bot menu" following you. Show my avatar and username. Show my avatar, but censor my username. Hide my avatar and username. 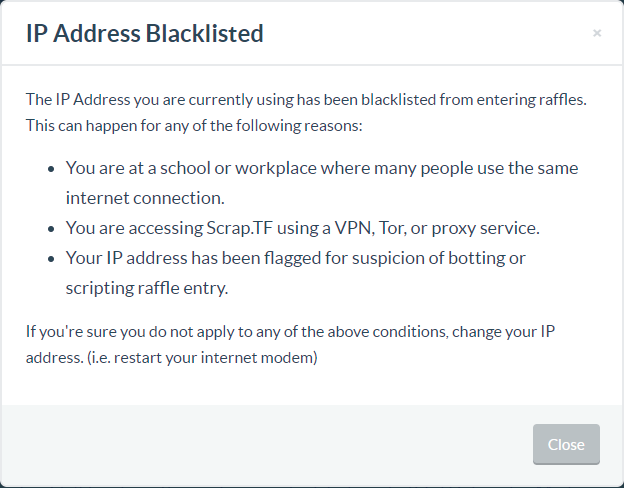 Hide all links to your Steam-Profile for other users on Scrap.TF: If you activate this option, no one will be able to go to your Steam profile through scrap.tf (except Staff and Supporters). Becoming anonymous in the queue: Your avatar will turn blank with no name or link to your profile on the queue. This is mostly used so people stop posting "HURRY UP!!!!" in your profile. Enable profile comments: If this option is enabled, everyone will be able to post comments in your profile. Having it disabled will not allow anyone to post comments in it. 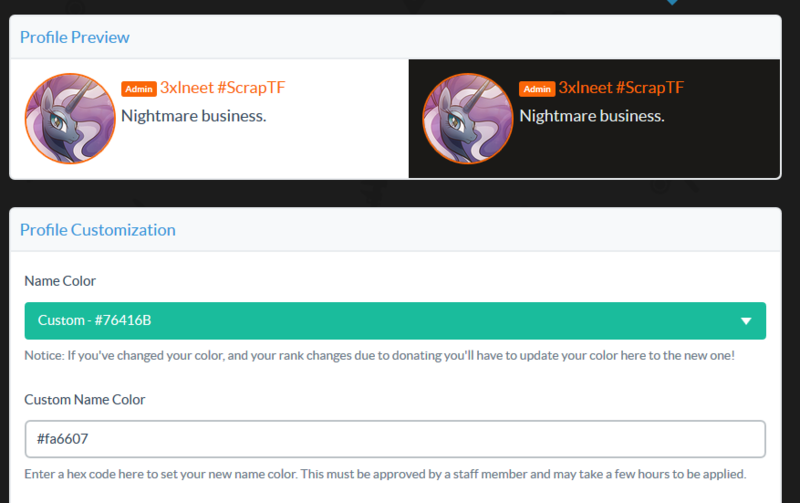 Name color: Here you can change the colour of your username to the colour of a previous rank or the colour which you have requested (Super Premium). Custom Color: You can introduce the hexadecimal value of a color that you would like to have. Once you save your settings, a request for said color will be sent to the staff and they will decide if it's accepted or not. If it gets rejected, some of the reasons could be that your color is too dark or bright (color guidelines). You can check how your username will look like by introducing the hex value and later looking at the preview which you have at the top. Custom user title [premium and above]: With this option you can type and set your custom title so everyone can get to know more about you. Setting your custom avatar: [premium and above or users with the pony+ badge] : Here you can upload your custom avatar by selecting the file from your device. They must be Safe For Work (not rule breaking) and be less than 200*200 px. Chat icon [rule readers, pony+, veterans, premium and above]: Allows you pick a background for our chat. Custom Profile URL: This option allows you to have a custom userID instead of your usernumber. Example. Profile Background Color: You can set the background color for your profile here. It must be in Hexadecimal. Profile Theme: You can set the theme of your profile here. You can obtain more themes in our events. Profile Background Image: You can upload an image that you would like to use as your profile background. Right now we are only accepting these following file types: .jpg and .png. Background Image Repeat: You can set how your background image will be repeated. Background Image Position: You can set the starting position of the background image. Background Image Attachment: You can set whether a background image is fixed or scrolls with the rest of the page. Background Image Size: You can set if you would like the background image to keep it's size, fill the whole page, or the user's screen. Transparent Profile Boxes: You can make your profile boxes have some transparency so the background is more visible. Example. About you: You can introduce not rule breaking information about yourself here. It will be shown under your user information. Example. Set Avatar: It will set that image to your avatar. You can change it any time. This option will allow you to update your username and avatar to your current Steam username and avatar. I need to inform a staff member about an important issue, whom do I contact? First of all, please make sure that the issue you want to discuss is urgent! This is because we have, on average, 30,000 trades taking place per day, so if for example your trade failed, help can be sought through our help center (the one you are viewing right now! ), dedicated help forum or live support chat (if available). This is much more preferable than contacting us directly, which only serves to hinder our work. Our staff do not wish to be personally contacted by any users. However, if you urgently need to contact us to disclose a security vulnerability or other critical issue(s) with the site, please email [email protected] with the details and you should receive a response within a day. 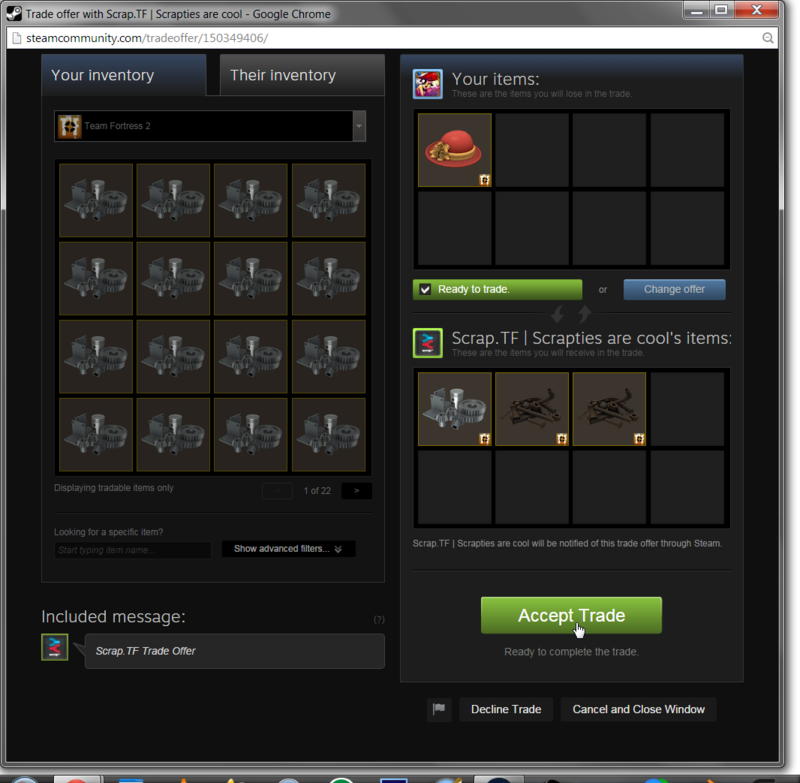 The bot has sent me an empty trade offer! 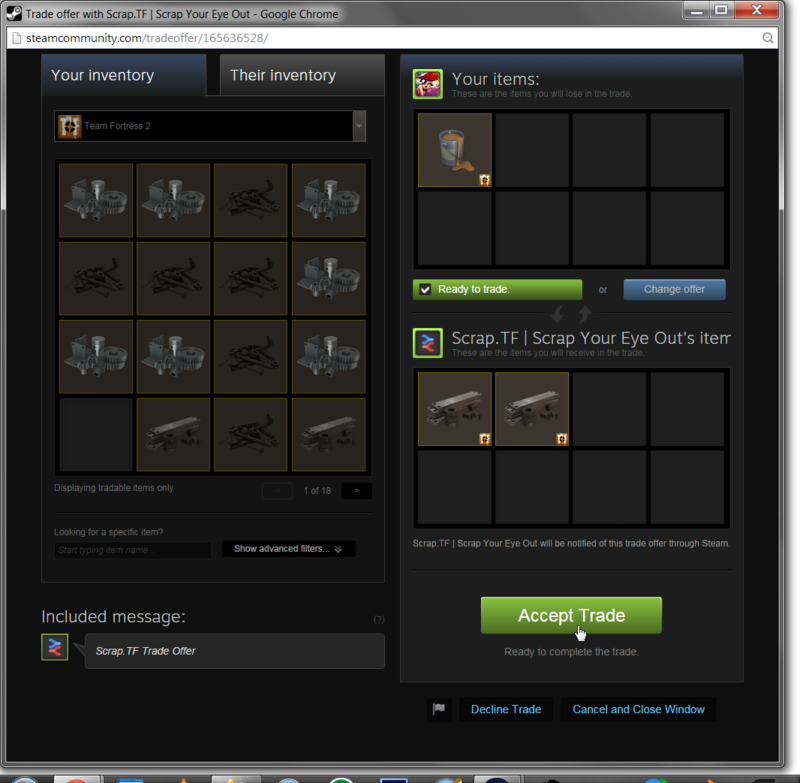 The bot has not sent you an empty trade offer because those cannot be send at all. 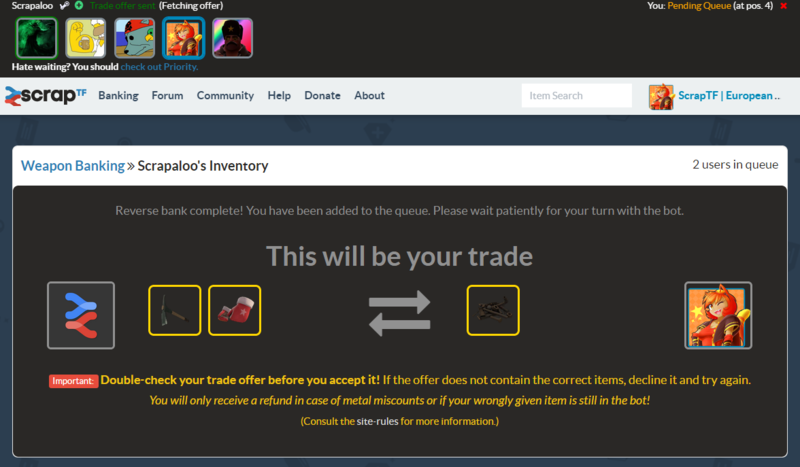 This is an issue with the Steam's servers and you will have to keep reloading the trade offer until the items show up. The items that I just bought do not appear in my backpack! Steam might be having some connection issues with your backpack, try opening and closing TF2 (or close it if you already have it open) and check your Steamcommunity backpack. If the items still do not show up then the trade might not have gone through, you will have to check your trade history and verify that the trade went through. Items disappar in-game when they are used in a trade offer. 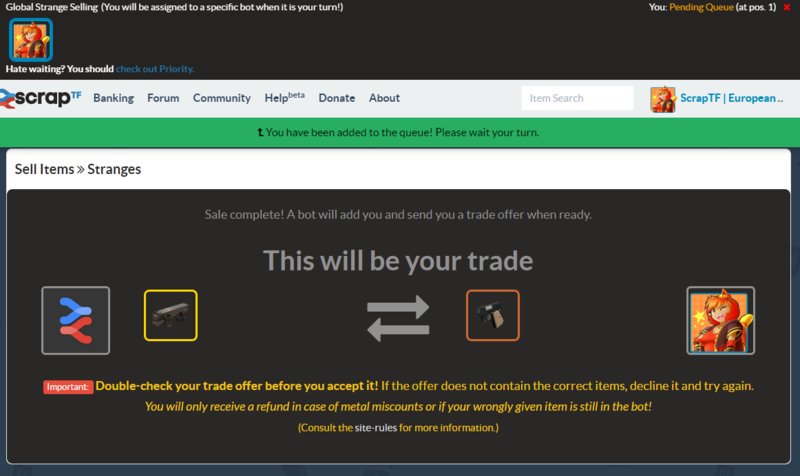 This is enforced by Valve to prevent item-duping exploits, if the trade offer failed to go through, the items will be returned after a map change or you disconnect from the server you are on. We have no influence on this behavior. Can I volunteer for live support? 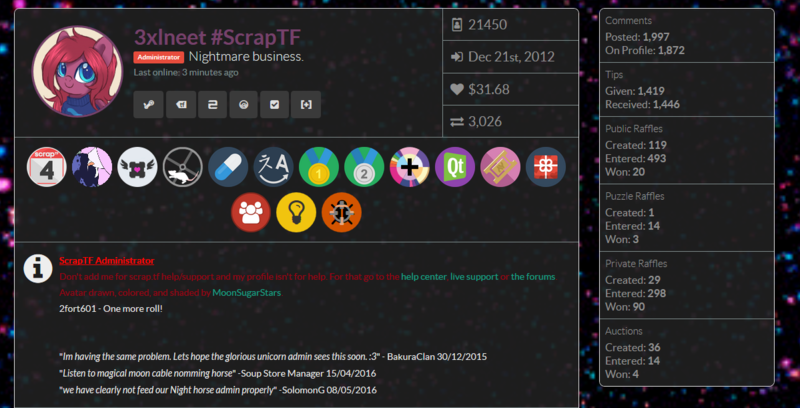 For more information please contact the Help and Support Manager, 3xlneet, by writing a comment on their Scrap.TF or Steam profile. 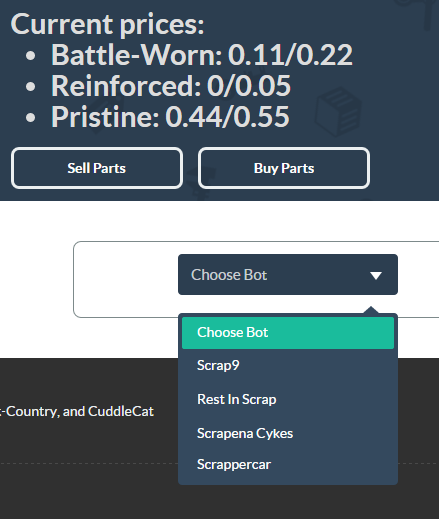 It is highly recommended to be a regular user of our community and site, so that you are familiar with any ongoing issues in Scrap.TF; how to solve those issues; and how the system works. Information about issues can be found in the help center and the help and support forums. How long does it take to get the permium benefits? It will take less than 10 minutes to apply your new rank. If your rank does not apply in 10 minutes, double check and confirm your payment of either cash or items has successfuly gone through. If it has, submit a refund request and we will help you out. The Trade Offer gave me an error, the window closed immediately and now it says the trade was successful! There are some instances where you get an error similar to: »There was an error accepting this trade offer. Please try again later. (42)«, but the Trade Offer will still be completed successfully. You can check your Inventory History for your recent trade activity. What is tipping and how does it work? The tipping system is a way to show your appreciation to the people that make raffles. 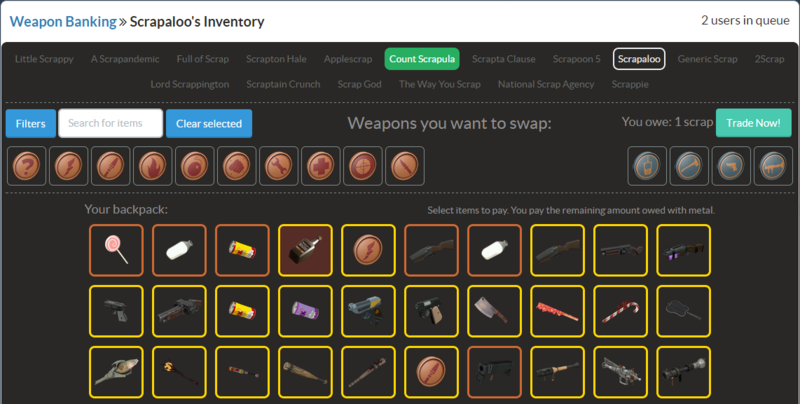 If you deposit one scrap then you will get one tip which can be used in the raffles (1 scrap = 1 tip). The person that gets tipped can use said tip to tip other rafflers or withdraw it, getting a scrap per tip withdrawn. My premium purchase didn't go through, what do I have to do? If the payment did not work, then you will have to submit a refund request in the refunds subforum. Click here in order to submit one. Hello user! You see, I was leaving gifts all around the place and I accidentally dropped one as I was flying! I went to get that gift, but as soon as I found it, I realised that I got lost in this confusing place! Thank you for finding me, ho ho ho! For that, I shall reward you with some Event Points! How do I select what I want to gift? Click on the Gift Items button. That will open your site inventory in the event page. 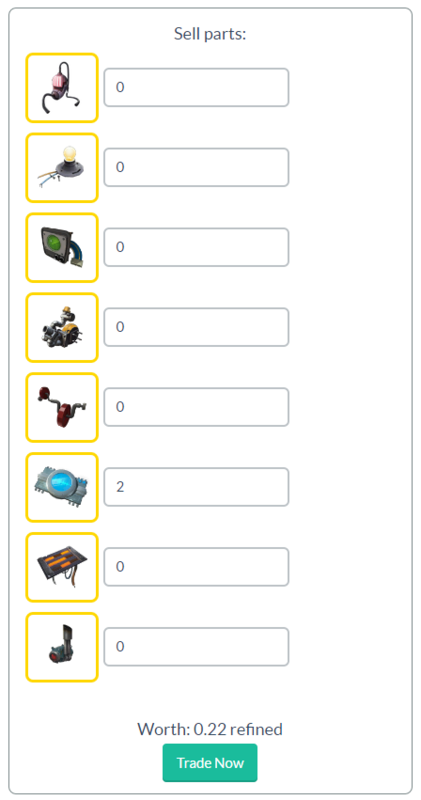 If you still have to deposit the items, then click on the Deposit Items button. Doing so will redirect you to the normal Site inventory. 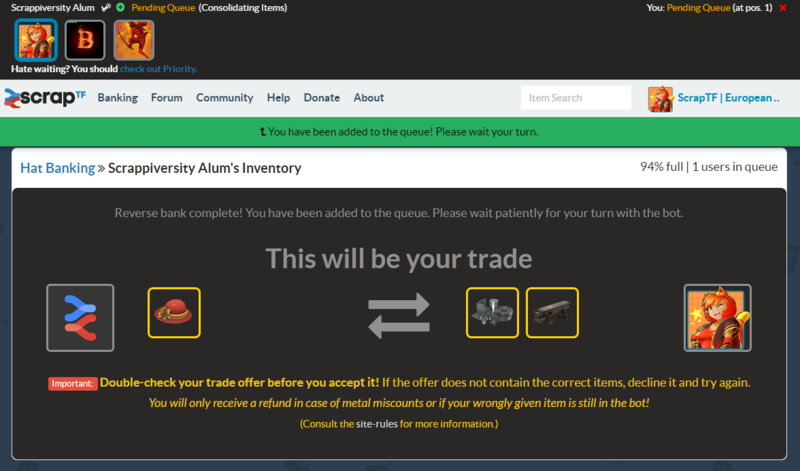 Select the items to deposit from your backpack and click on the Deposit button. Wait until the validation is done. 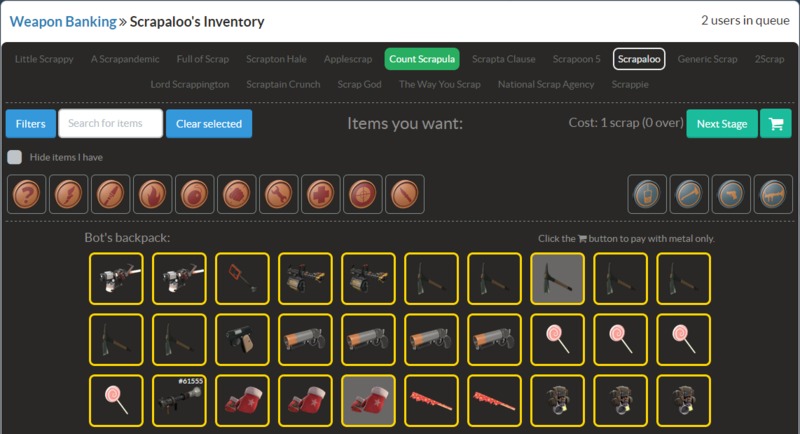 Once it's finished, you will be able to see the items deposited in your site inventory. Once you are done depositing your items you will be able to click on the items that you want to gift, that will move your items to the Selected Items section. You are almost there! The only thing remaining to do is to click on the Submit Gift button and the items shown in the Selected Items section will be set as a gift! You can do so by typing [img]linkoftheimage[/img] and posting it. In order to start using our raffle-twitch.tf function you will have to start by logging in, for doing so you will only need to the log in button that you can see at the bottom. It should look like this : After logging in, you will notice that more information has appeared (https://feen.us/i/8/2fd73001.png ). Those are the controls that enable or disable the twitch raffle bot, click on the enable button so it joins your twitch stream chat and you are good to go! Remember to read the commands and make it mod. How can I get more quests? You earn/obtain 2 new quests per day, so you only have to wait until the next day. I can't join the Secret Santa and/or I got kicked from it! You needed to trade at least once in the past 3 months. 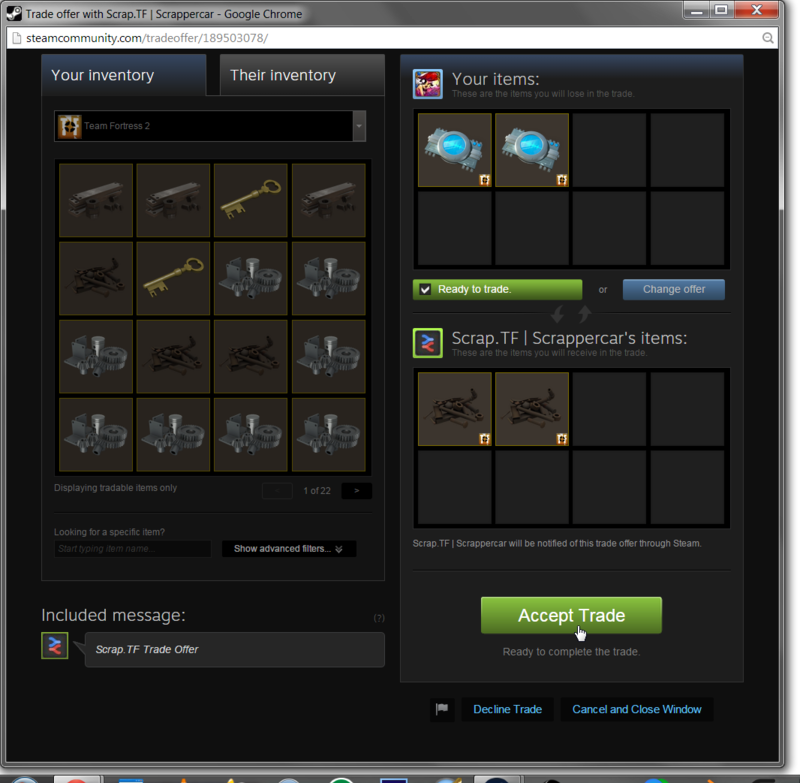 You did not have the Steam Guard Mobile Auth enabled, making you experience trade holds. Does unusual banking have a stock limit? Yes, there is. We currently have a stock limit of 1 per hat-effect. The skin I am trying to sell is not showing up! We use a number of factors to determine pricing for our items. If an item doesn't meet these requirements your skin will not be accepted. We do not publicly disclose these factors. We completed the bar but the raffle is still locked! You will have to wait then. Geel makes and assigns the raffle manually, so we have to wait for him. I have changed my mind about what I want to gift! Can I change what I have selected? You only need to go to the Secret Santa event page, click on the View Current Gift button and click on the Clear Gift button. 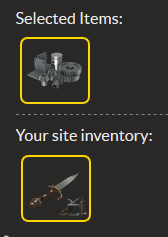 You will be able to see your items again in your site inventory, allowing you to withdraw and deposit more items and select them as a gift! You can create a poll by going to /polls/create. Where can I see all the polls that I have made? You can see them by going to /polls/history or by going to Create Raffle -> View my Polls.. I got kicked out from the event even though I gave a gift! That is not a bug or issue, you most likely forgot to submit your gift. 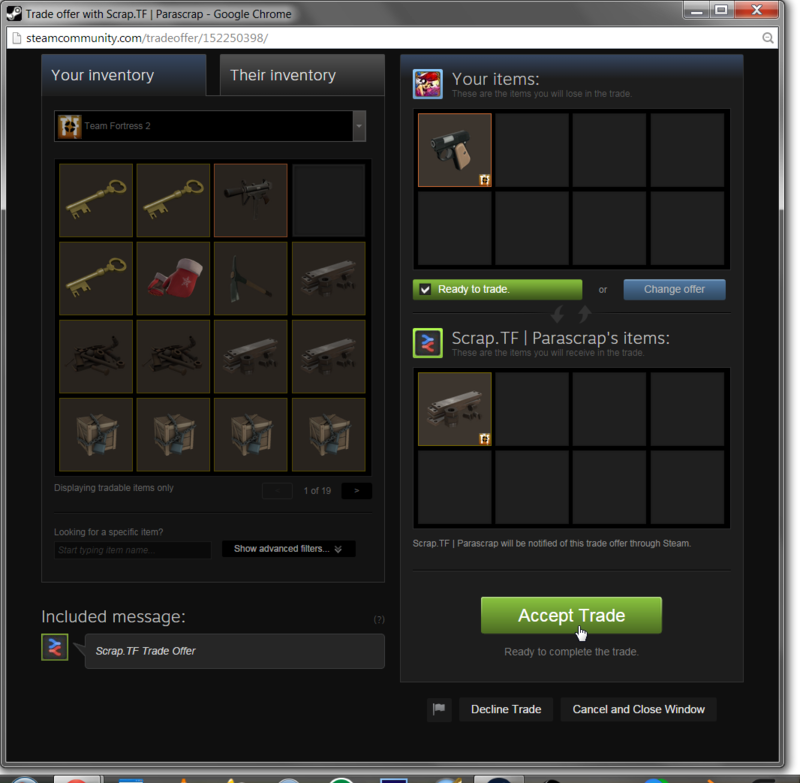 Remember that after depositing the items you had to select them as your gift and submit it through the Secret Santa event page. How can I make a page for users to tip me while I am streaming? You can create your own page for accepting tips in /twitch/tips. Remember to link your twitch account with our site by going here first! 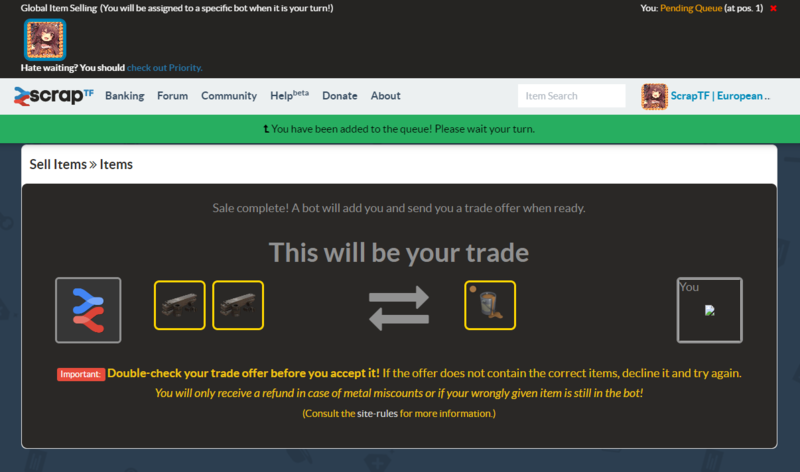 My trades with the CSGO banking bot always fail! That's most likely because the bot's CSGO inventory is full, as said inventory can only have 1,000 items at once. 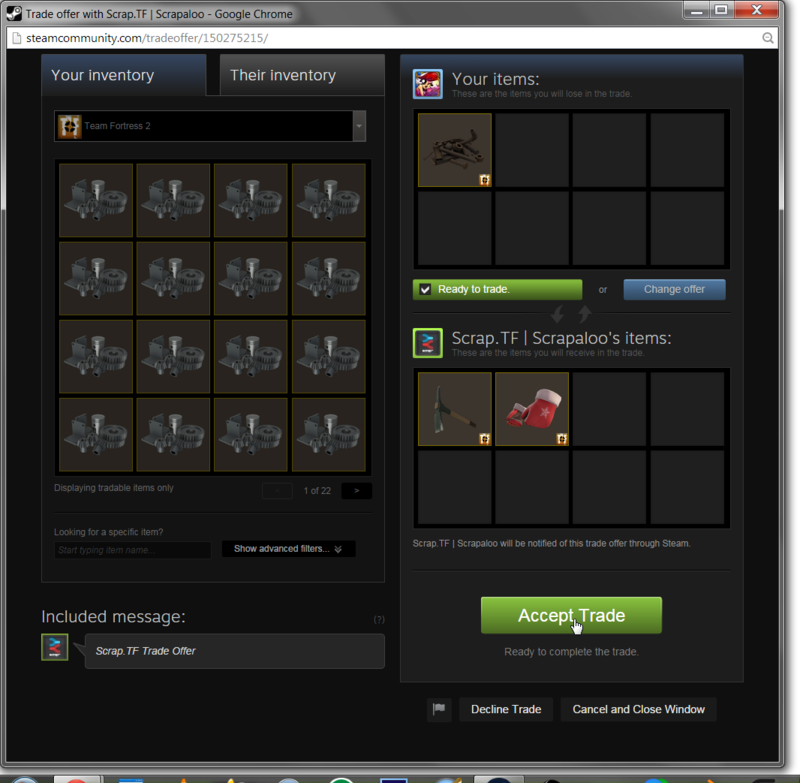 You can verify so by checking the bot's CSGO inventory in Steam.